The genesis of Edwards pools was in the Spring of 2004. At that time, Nathan was managing another pool company. His two brothers Josh and Jeremy were working for him. In May of 2004 the company they were working for decided to close down. The old saying "necessity is the mother of invention" applies to the start of Edwards Pools. Nathan, along with the help of his brothers, decided to launch out on his own. The year of 2004 was a year of small successes for newly started Edwards Pools. With Nathan’s contacts in the local pool industry, they were able to secure work mostly as sub-contractors. During the course of the year they constructed mostly above ground pools while also working on several inground projects for other pool companies. In the fall of the year they sold and installed their first inground pool as Edwards Pools. During this time they started to established their reputation for quality work. Doing quality work and completing a project knowing they did the best they could always brings a feeling of satisfaction to the owners of Edwards Pools. A feeling of optimism pervaded the company in 2005. They sold and installed one ingound pool in the spring. They continued to expand on their above ground installations with roughly 175 projects completed. During the course of the year they also installed four inground projects as sub contractors. The year was one of growth and continued success for Edwards Pools. “Working their butts off” would be an apt description for 2006. 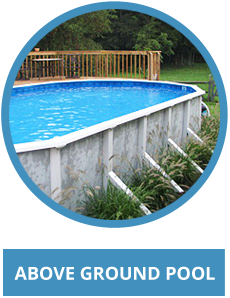 During this time Edwards Pools installed over 275 above ground pools while also completing 4 inground projects that they sold themselves. Running a four man crew they managed to complete all work in a timely manner. Change would also be a factor in this year as Josh chose to complete his college degree and pursue other career options. In the fall of 2006 the Edwards team was down to Nathan and Jeremy. With just the two of them they completed one of the most extensive projects for the company to date. The removal of an existing 18x36 inground pool and the construction of a 20x40 inground pool in the same location, along with fencing surrounding the completed project. The year would be one of growth and also change for Edwards Pools. With two new employees and three new inground projects to complete, 2007 started off with a bang. The decision was made to cut back on above ground sub contract installs. Choosing to focus on other areas of the buisness they only installed approximately 175 projects. In the fall of this year they constructed several inground pools well after the above ground pool season had concluded. They finished their last vinyl liner project the day before Thanksgiving, with the snow flying! All in all it was another year of solid growth for Edwards Pools. While Edwards Pools enjoyed continued success in 2008, they wanted to shift the company focus from sub contract work to more in house sales. With two inground projects lined up in the spring and returning employees the year was off to a great start. Even though they wanted to shift to more in house sales they still installed approximately 175 above ground projects. Completing two inground projects in the fall concluded another prosperous year. As the year of 2009 rolled around, the thing on everybody's mind was the economy. Edwards Pools understood that what they sold and built is not a necessity, but a luxury. Needless to say, they were wondering how the year would transpire. The year started off like it did for many other pool companies, slow! With only one inground project to complete in the spring, concerns about having enough work were very real. With both employees returning from the year before the staff was experienced and ready to go to work. As the year progressed they shifted focus from all new installs to some remodel jobs to stay busy. Throughout the course of the year they were able to complete another 150 plus installs of abovegrounds even with the down economy. The year ended with Edwards Pools being in better shape than most other pool companies but definitly with some apprehension for the coming year of 2010. Due to the slow economy, Edwards Pools realized they would have to shift their focus for 2010. With one inground pool scheduled for construction and the above ground market slow, they took on more service work to fill in the gaps. As the year progressed, work steadily increased. By the end of the season, they had installed roughly 175 above ground projects and three inground pool projects. The year proved more successful than anticipated. Edwards Pools is excited about their future and the continued growth of their company. With their commitment to quality work and an expanding customer base Edwards Pools has managed to be a very successful business. With Nathan and Jeremy’s work experience every project is completed to the customers satisfaction. While Nathan is the owner and Jeremy is a partner in the business, you won’t find them sitting at the office! They are both working owners who you will see on most every job site. They feel that their personal commitment to quality ensures that every project will be completed to the highest standard. While Nathan and Jeremy are busy working in the field, Tammy, Nathan’s wife, is busy managing the Edwards Pools office. Her sunny disposition and friendly attitude make her well suited to handle any questions and concerns customers may have. Her commitment to answering and returning all incoming calls is second to none. Whether its an existing customer, or a new customer just starting the process of purchasing a pool, Tammy will help walk them through the process, making it as easy as possible. While Tammy remains the integral part of the office staff, Edwards Pools is pleased to add Melissa, Jeremy’s wife, as part of the office team for 2010. 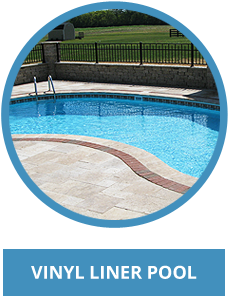 Customers can expect complete professionalism and attention to detail that makes Edwards Pools stand apart from other pool companies. 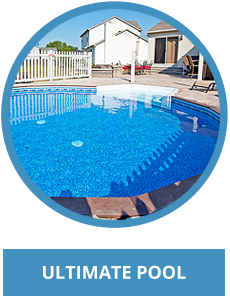 Edwards Pools is a family oriented business that prides itself on honesty, dependability, and friendliness. They treat every customer the way they would want to be treated. Having the best deal or the lowest price is not their concern. Giving you the best value, high quality products, and finest workmanship are. They are featured on Angies List with an 'A' grade as well as an accredited member of the Better Business Bureau. Commitment to personal service is just one of the many qualities that they pride themselves on. 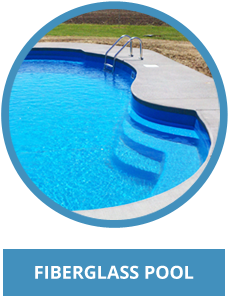 Whether you are looking for an above ground, or a vinyl liner or a fiberglass inground pool, Edwards Pools has the experience and commitment to quality to make your dream of pool ownership come true.